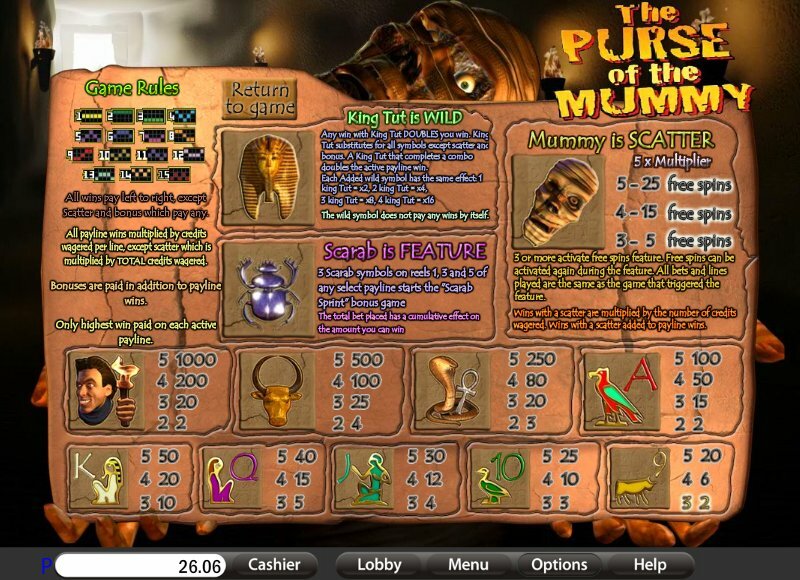 Overview: Join the adventure and see what the Purse of the Mummy holds for you! Maybe you can walk away with the treasures of King Tut! WIN UP TO 5,000 COINS! 15 LINES, UP TO 25 FREE SPINS, WILD X 2 MULTIPLIER! 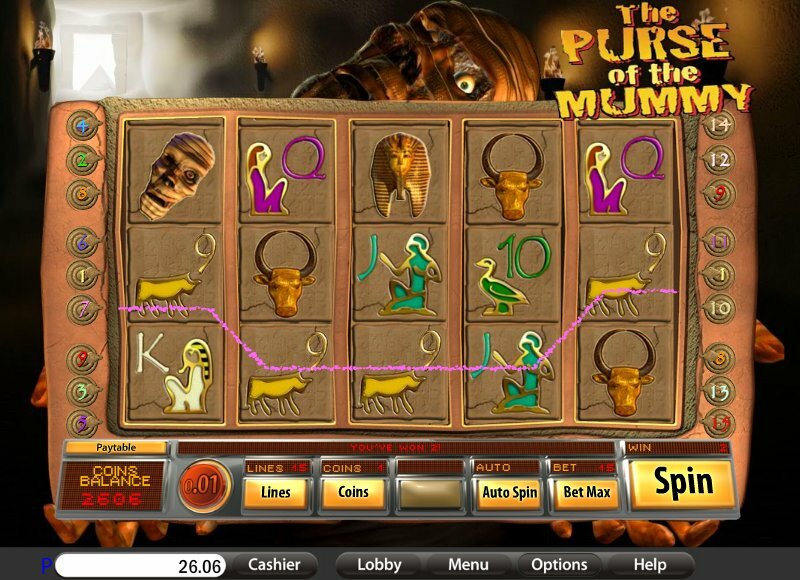 Similar Slots: If you like The Purse of the Mummy, you might like these other slot machines from Saucify: Aladdin's Loot, Horn of Plenty, Legends of Avalon - Progressive, Lucky Leprechauns, NASCASH.